These plants are seen as weeds here as they grow so voraciously but their purple summer colour reminds us of when we first arrived in New Zealand. They line the centre strips of dual carriageway and grass verges. In winter the seed pods remain, long abandoned by their seeds but beautiful in their starkness and their dry winter brownness. 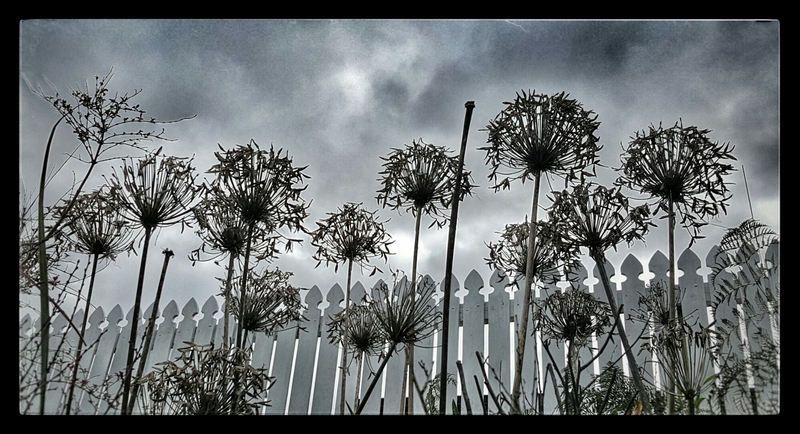 I spotted these silhouetted against the cloudy winter sky and the white picket fence.